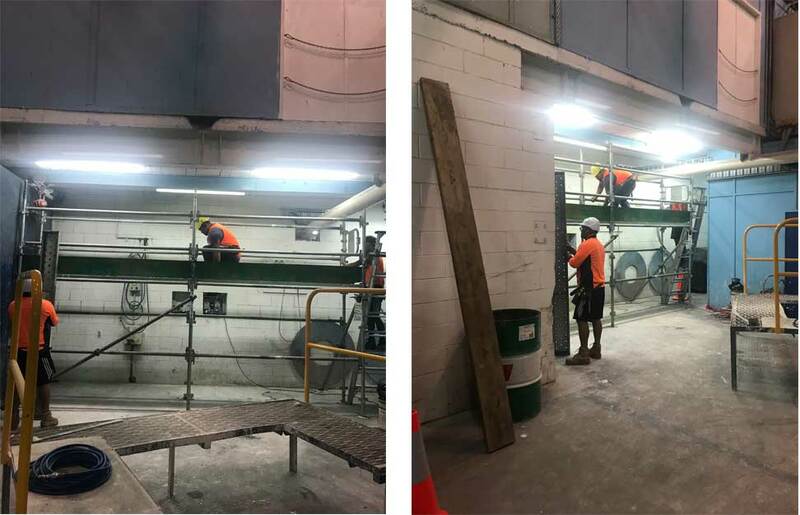 The AKL Motorway Control Centre in Northcote Point is a busy place so time is paramount when it comes to replacing a roof section on the main building. Using Kwik Stage, Tube & Clip and Shrink Wrapping we were able to cause minimal disruption and no hold ups with the job. 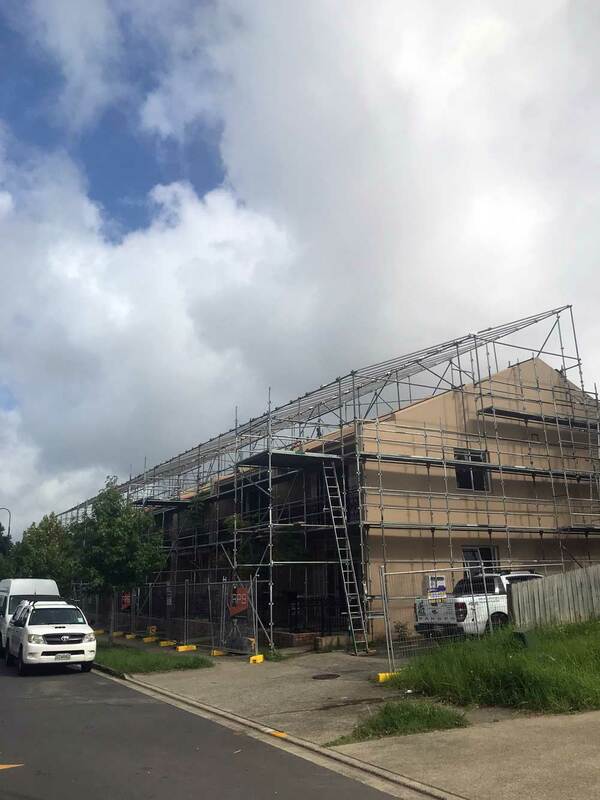 We are currently building a large temporary roof structure covering 1964m2 of shrink wrap in Flat Bush. This roof structure will cover 7 residential dwellings with very little inconvenience caused due to the way we have built it, using access beams and tube and clip. Everyone's happy! We love the 'fun' jobs of summer! You'll have to ask Paul if he tried the slide himself!